My Cloud or Content is not recognized by a Smart TV, DVR or Media Player. IGMP Snooping is the process of listening to incoming internet network traffic. The feature allows a network router or switch to listen in on traffic to ensure the devices maintain a map of which node need which data stream. Multicasts may be filtered from the links which do not need them and thus controls which ports receive specific multicast traffic. Locate the IGMP Snooping option which may be located under Settings or Advance Settings depending on your make and model. Western Digital Technical Support does not provide setup, configuration or technical support for third party vendor products. Please refer to the manufactures user manual or consult with their technical support teams for details regarding 3rd party products. Does the device make, model and firmware support DLNA Media Streaming? 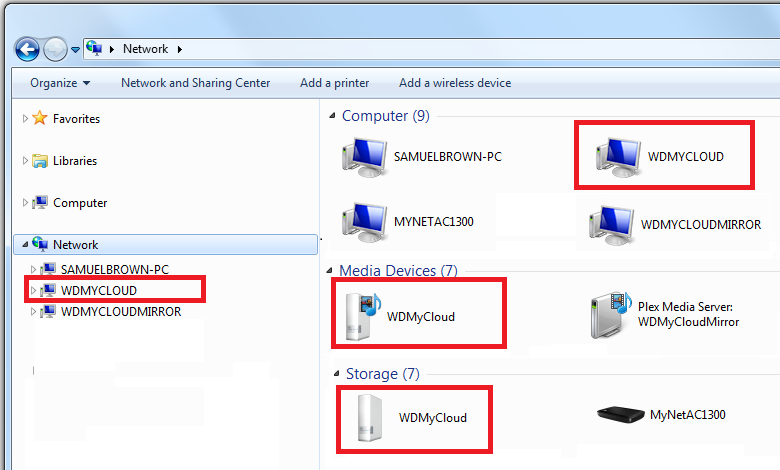 Is the device compatible with Twonky DLNA Media Server v7.2.9-13 on the My Cloud? Is the device compatible with Windows Samba SMB1, SMB2 and or SMB3? Is the device connected to the same IP Network as the My Cloud? Is the device connected via WiFi or Ethernet? Does the device support media streaming in the configured connection mode? (WiFi or Ethernet)? Various Smart TV and media players on the market do not support streaming in certain network configuration modes. "Double-NAT" is when there are two devices on the network, both handling Network Address Translation (NAT) services and or serving DHCP addresses at two levels. 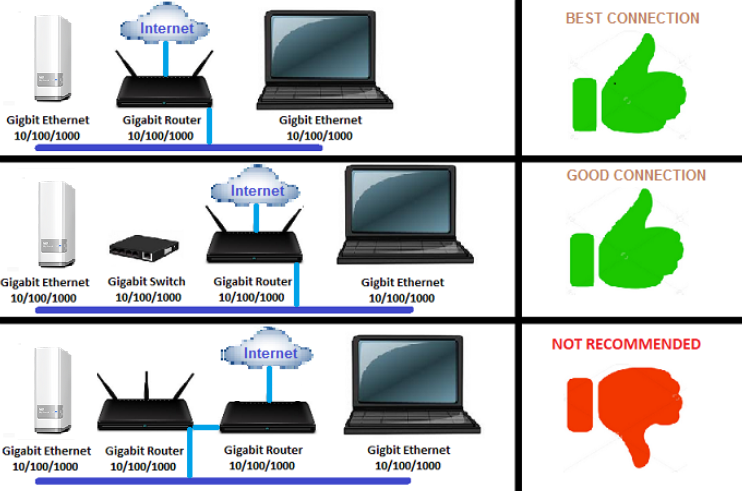 Use the chart below to ensure the My Cloud Home network environment is configured with the BEST or GOOD CONNECTION and not the NOT RECOMMENDED - DOUBLE NAT connection. The My Cloud, Smart TV, DVR, Media Player or computer should be on the same IP Network. Ensure the My Cloud can be seen and is accessible on the local network by Windows or macOS computer. My Cloud products support the following options per firmware release. Twonky DLNA Media Server v7.2.9-13 is included on all My Cloud products. Download an alternate 3rd party media player on your computer, mobile device or Smart TV and check connecivity. Rebuilding the DLNA Server Database can be useful when there is a content visibility or media playback issue. Rebuilding the Twonky DLNA Database is a time consuming process that could take a few hours to complete. During this time, media connect will not be completely available for use. Please allow the database to rebuild to 100% before attempting to access, view or play the media content.